Change: to make different in some particular. As we go through life, we are going to have to experience change. Some change is for the better and some change not so much, but the one thing we can count on is change is going to come. How you accept it is going to be the difference between living a happy or an unhappy life, the choice is yours. Melanie Cottman is about to experience major change in her life due to the impending divorce of her parents. So that Melanie’s parents can take care of adult business, Melanie’s mother is taking her to stay with her aunt and cousins in Philadelphia for the summer. For a fifteen year old a vacation with the cousins should be a walk in the park but Melanie is from California and she is getting ready to enter into an entirely different world than she is accustomed to. In order to make the transition easier Melanie’s sixteen year old cousin Yolanda agrees to let her tag along with her and her crew, but little does Melanie know her experiences over this particular summer will change her life forever! Will Melanie be able to understand and keep up with this new lifestyle or will she be left by the curb to fend for herself? The Whore and The Virgin is the type of book that catches your attention first by the title, that makes you want to see what is behind it. Secondly, once you begin reading this story you start to understand the title and you want to see how this all plays out. Ceet The Author paints a clear picture of what we think is going on in the book, but at some point we have to figure out who is playing what role. The story is appealing and keeps you interested so that you can see if what you think is going on is really what is happening. I like this story and this author and I look forward to reading more of his work in the future. The Whore and The Virgin is available for purchase through Amazon.com on Kindle only and the authors’ website: http://www.brpent.com/B_R_P_Entertainment/BRP_Entertainment.html. In life, all a person wants is to be loved. Whether that love comes from your parents, family, friends or a lover it is all we desire. When you go looking for love or if it falls in your lap, it makes you feel whole and alive. The only problem is when the love is not for the right reasons, that is where all the problems being. Makynzee is a woman in a girls body. She is 18 turning 19 with an old soul, and the one thing that she lacks in life is joy. Every since the death of her father a year earlier she has not known what it was like to be loved. Makynzee’s mother hates her for some reason and the only other person in the world that would take care of her, her sister Riley, has run off and left her. Jaida is Makynzee’s best friend and the only non-family member that cares for her, but when she moves away Makynzee is all alone. Determined to leave her mother’s house, Makynzee goes out looking for a job and meets Kalil and her world it turned upside down. Kalil is 6’7″, dark chocolate, athletic body, green-brown eyes and simply breath-taking. Whether this love at first sight or lust at first sight, Makynzee knows that she has to have him. It is going to take all of the strength in Makynzee to remain professional but the heart wants what the heart wants and she might just be fighting a losing battle. Kalil is just as intrigued by Makynzee but can he love her and his lifestyle too or will he have to make some changes to get the woman of his dreams? Lovely Lies is a romance drama that keeps you hanging on the every word of the author. You have the two main characters who might as well be oil and water but it is something about them that keeps you rooting for them to be together. You have drama dealing with Makynzee’s life from her past to her present and it is how Kalil reacts that make you love them both all the more. The characters in this novel work well with each other, they compliment each other and it makes the story all the more real. You can see yourself in them and I think that makes a great read. I enjoyed this book by Lashanta Charles and I look forward to reading more from her in the future. 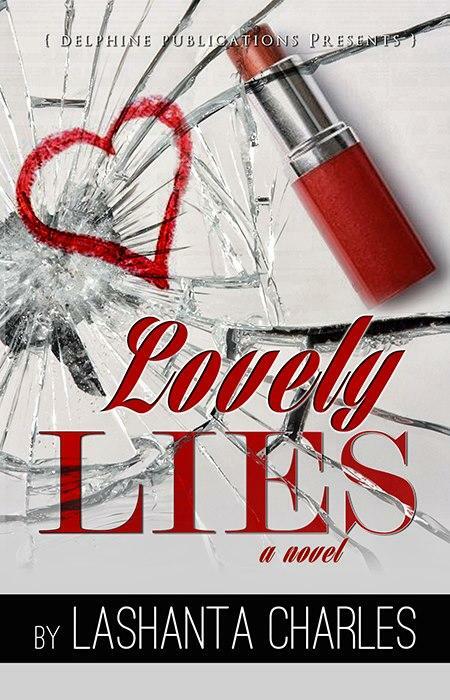 Lovely Lies can be purchased through Amazon.com (Kindle and paperback), BN.com (Nook and paperback) and on the publisher’s website: http://delphinepublications.com/home/home.html. Peaches Donnelly is back and getting in more trouble than ever. Peaches and her amateur sleuthing is a bother to the police department and the people that she questions but for whatever reason Peaches get results. Cecily Washington is a self-made woman who doesn’t care who she walks over to get what she wants. Cecily is beautiful and she knows it and she definitely uses that to her advantage when it comes to the men that enter into her life. Cecily only deals with the creme of the crop and she makes sure that she will benefit from them in the end. Cecily’s resume includes a professional basketball player, professional football player and a megastar R&B singer and she has children by all of them, guaranteeing a major payday. When Cecily is brutally murdered, a mutual friend comes to Peaches to solve the crime figuring that she has done it before, she can do it again. In the process of trying to figure out this latest escapade, Peaches is dealing with drama of her own. Can Peaches deal with both and still solve this murder or will her nosing around get her hurt? A.T. Hicks writes a very interesting and eventful murder mystery with her main character as Peaches Donnelly. I don’t know if you have ever met a busybody like Peaches but she keeps this novel entertaining and eventful. I like Hicks writing style and her characters always seem to have something going on and that makes for a very good read. I look forward to reading more of Peaches Donnelly and works by Hick. Keep up the great work. 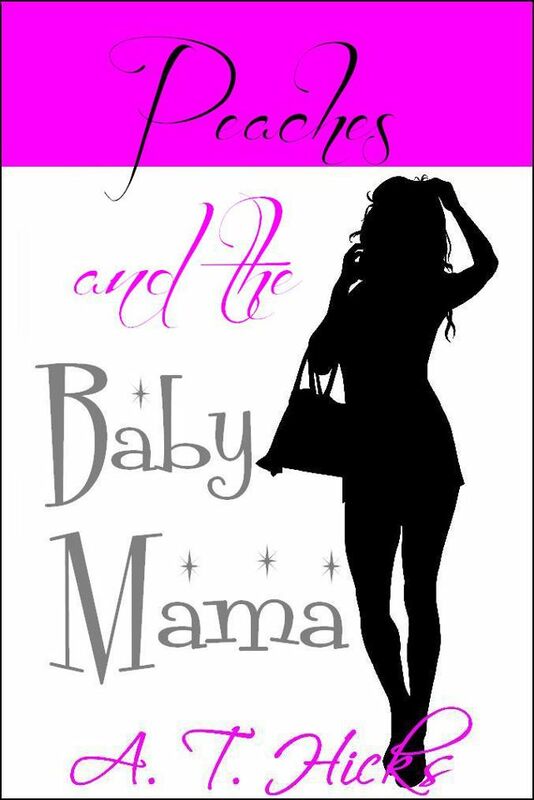 Peaches and The Baby Mama is available for purchase through Amazon.com (both paperback and Kindle) and BN.com in Nook edition only.